Ten. Dix. Zehn. Kymmenen. Tien. Ti. Diez. 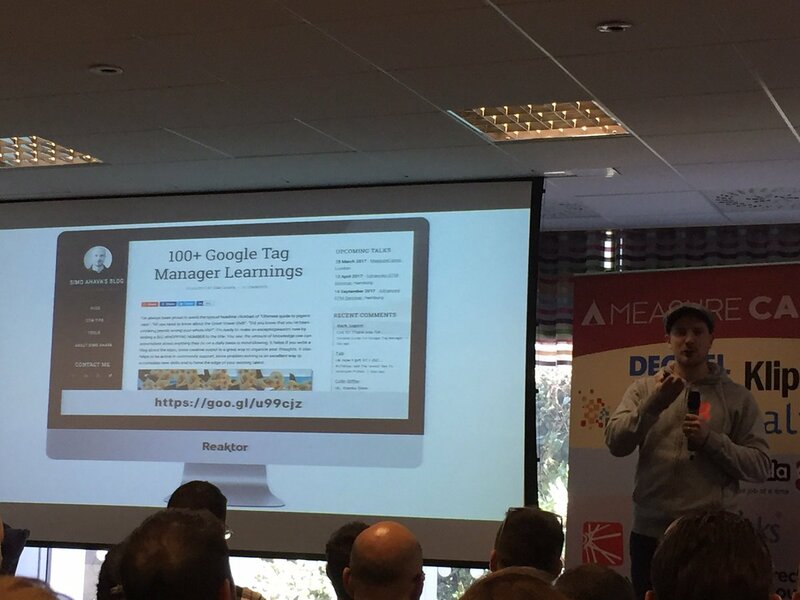 Dziesięć… In any language that’s a pretty impressive number to reach – so thank you to all of you who travelled from far and wide to make MeasureCamp London 10 a truly momentous event! Ideas were shared, connections were made and legends were crowned! 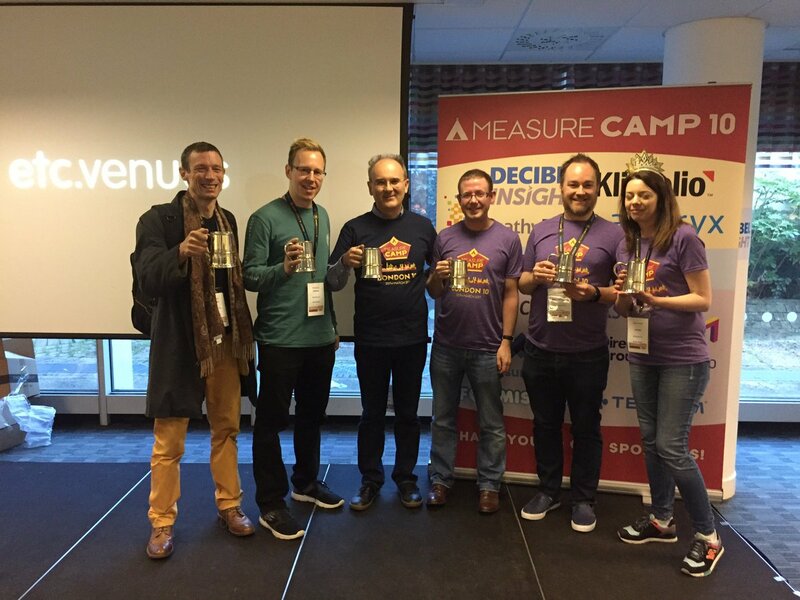 Congratulations to Craig Sullivan, Phil Pearce, Nicolas Malo, Andrew Hood, Alec Cochrane and Keely Jacobs on becoming the first six Measurecamp Legends – well deserved after years of dedicated contribution to the digital analytics community. Watch the magic moment during the closing session here. For the second time ever we broadcast the day via Periscope – with admittedly mixed success… See all the sessions that we captured here. You can also flick back through the day on social via our storify. Here are all of the slides and materials we managed to gather from the day. If your deck is missing from the list, or you have notes from one of the missing sessions, do drop them to @Rosie-Parkin (or email rosie.parkin@gmail.com) & they’ll be added. You Don’t Have to Be a Data Scientist to Do Data Science by Carmen Mardiros – Watch this session on Periscope! Mobile Patterns for Conversion by Craig Sullivan – Watch this session on Periscope! No slides or materials yet for this session – send them through if you find them! Methods, tips, strategies, uses, planning, visualising benefits of customer journey mapping. 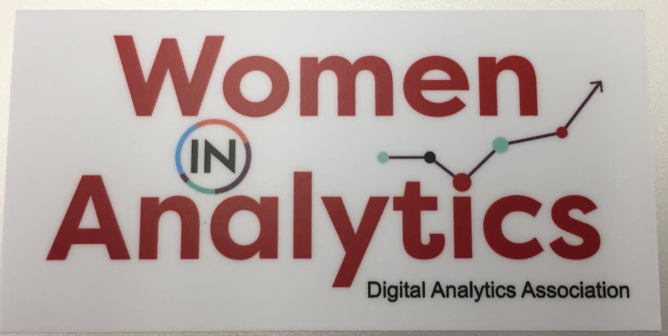 Web Analytics: More than just a tag on a page by Deepak Anitha – Watch this session on Periscope! No slides yet for this session – send them through if you find them! Morphing GA into an Affiliate Analytics Monster by Phil Pearce – Watch this session on Periscope! How to hack GA’s native campaign tracking, leverage 1st party cookie power and align GA’s sessionisation logic more closely with 30 day affiliate systems. 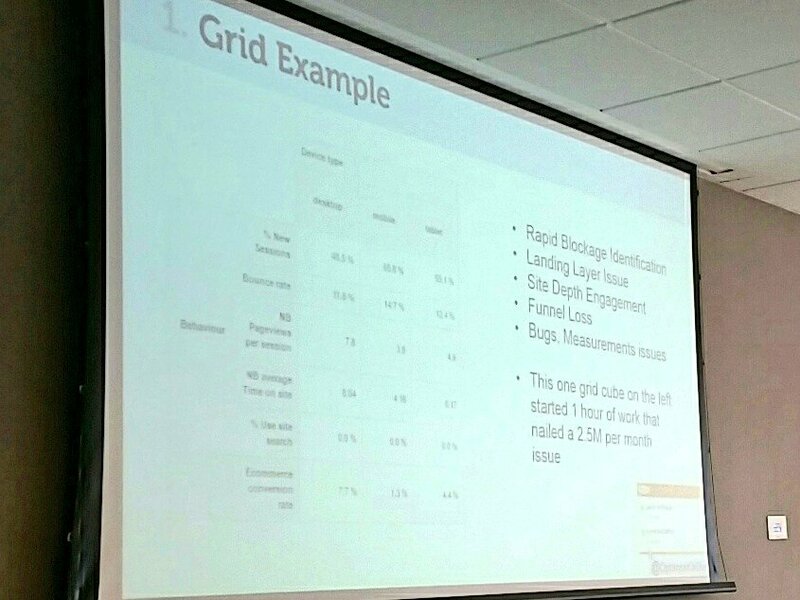 Click here for Phil’s slides – and here for his GTM config file. Simo’s Top 30 GTM Tips by Simo Ahava – Watch this session on Periscope – part1 & part2! GDPR comes on May 25th 2018. Have you started your way to compliance? Tiering it all together DMP, remarketing, onsite personalization by Eric B – Watch this session on Periscope! Live quiz on analytics and optimisation with Beers by Jorrin Quest & Tim Wesseling – Watch this session on Periscope!